O.C. 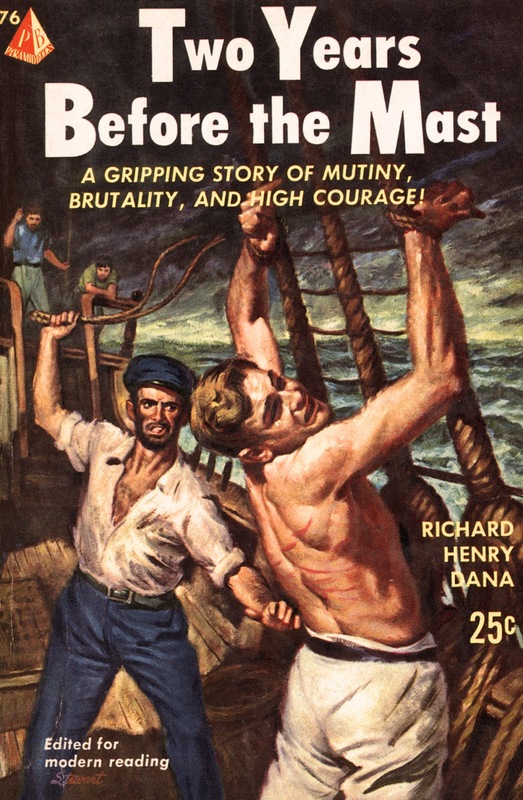 History Roundup: "Flogged like a beast" in Dana Point! "Flogged like a beast" in Dana Point! Book cover art appealing to a, um, ... niche audience. It's pulp non-fiction! I've never before seen a book related to Orange County history presented with a cover quite like this. Two Years Before the Mast is, of course, Richard Henry Dana, Jr.'s classic memoir of life as a sailor in the 1830s (published in 1840). 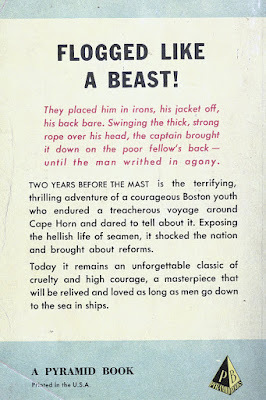 It was a muckraking book, intended to shine a light on the terrible treatment of common sailors and to inspire reform. Locally, however, it is now sometimes misidentified as primarily being a romantic adventure tale. The section of the book that's retold most often in O.C. is the part where Dana described his visit to the cove below San Juan Capistrano that we now call Dana Point. He arrived as a crew member aboard the Pilgrim, which had come to collect cow hides from the mission. He described the area and recounted the process of flinging hides down from the bluff-tops to the beach below, where they were gathered and taken by rowboat to the waiting ship. He famously called this cove "the only romantic spot on the coast." 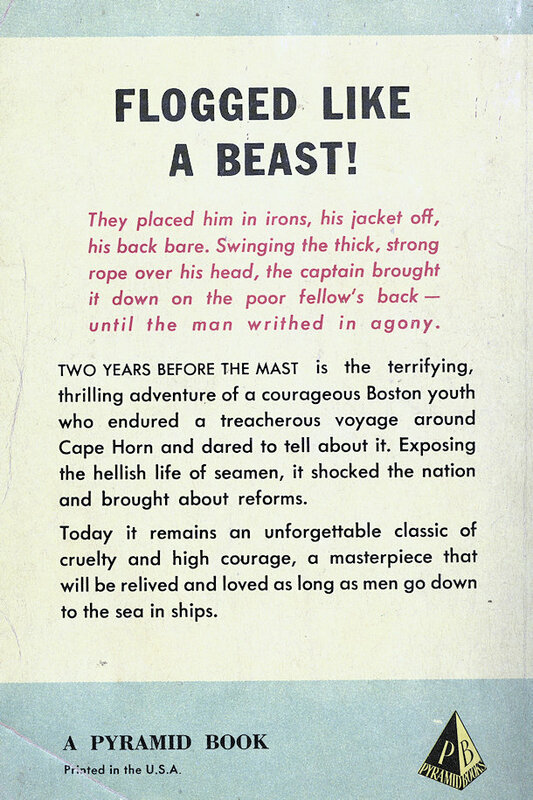 The back cover. Only slightly less lurid than the front.. This 1953 paperback edition from the Almat Publishing Corp. was "edited for modern reading" by Marshall McClintock. Almat's Pyramid Books imprint had a knack for churning out pulps with half-naked people on the covers. They featured titles like The Shame of Mary Quinn, The Heavenly Sinner, and The Divine Passion. It's sort of hilarious that they gave the same treatment to Dana. My thanks to Mark for sending this copy along to the Orange County Archives. One never knows what amazing O.C.-related curiosities he's going to send our way. Just when I think I've seen every form of Orange Countiana, he or one of our other friends/patrons surprises me with something obscure. And that's a very good thing. It's a slow day when you don't learn something new. Promotional slug from inside the book. Who owned O.C.’s roads in 1918?